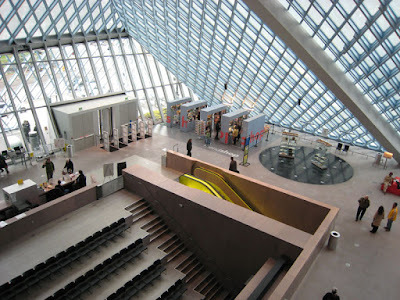 The Seattle Public Library: forward-looking, intelligent, jazzy, cool, open to all (even the homeless), filled with ideas and art and computers and a fun auditorium and people from all over and commerce (a shop and coffee cart) and books for learning everywhere. In many ways, it functions like infrastructure. 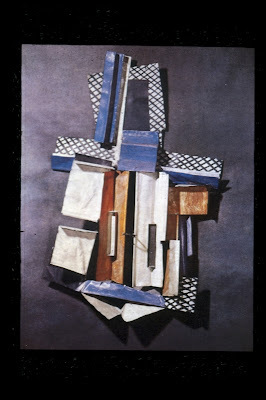 The original library sign in contained within, but its surface is striking and new. All this and it’s on the Pacific Rim, from an international design team. Hooray for Barack! Great comparison! 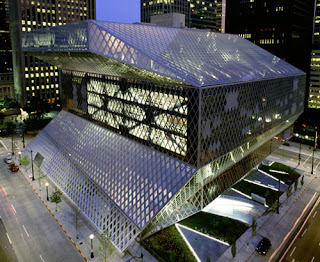 Seattle Public Library is one of the smartest, boundary-pushing buildings of our age. It strongly supports the city and supports international, interconnected, what they call “cosmopolitan,” citizenship. If Barack Obama were a building, what building do YOU think he would be? Read about Barack Obama and columns, here. Kool haats – the "Koolhaas"
From this website: The Story Behind the Design: The hat takes its name from Rem Koolhaas, a Dutch Architect/Urbanist whose work I admire very much. 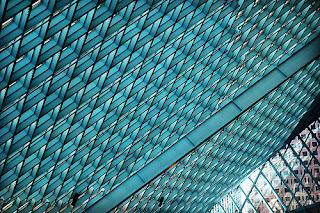 Last winter when I was home in Washington, I spent an afternoon in the Seattle Central Library, one of my favorite places in Seattle and an incredibly inspiring space. 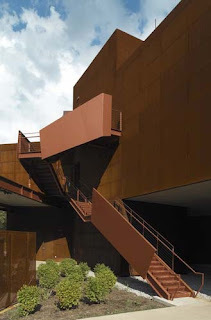 The architecture there created a design impulse and the hat was born in the following days. Thanks for this to Sandy! 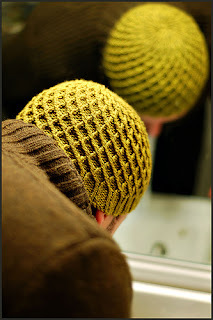 Do you know other examples of architecture working its way into knitting? 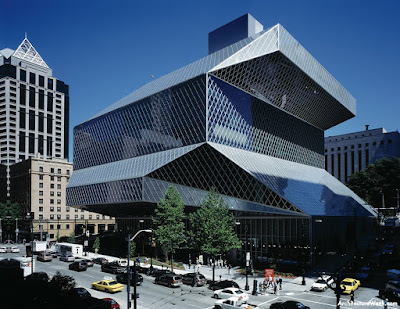 You are currently browsing the archives for the Seattle Public Library category.